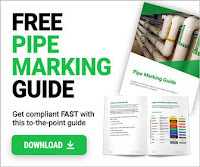 This P&ID (Piping and Instrumentation) Tutorial was done for the Queen's University Chemical Engineering, CHEE 470, Design of Manufacturing Processes, 4th year capstone design course. Two and three phase separators along with two heat exchangers were drawn. Note the video is slightly out of focus to due a screw up by the instructor who forgot to focus the camera.